Are strong farm real estate values here to stay? Rural-based Realtors shouldn’t rejoice too soon – last year’s 15.1 per cent increase in farm real estate values reported by Statistics Canada isn’t likely to be repeated in 2014, according to one farm real estate expert. Robert Alexander, the farm-focused Realtor behind R. W. Alexander Real Estate Brokerage in Ontario tells REP that the steady rise in farm real estate values might not continue for much longer. “High commodity prices and low interest rates, that’s what’s driven farm values,” he says. “But commodity prices have backed off somewhat; interest rates, I think, are going to hang in there for another year or so. Stephen Boyd, head of the Canadian Agricultural Financial Statistics section at Statistics Canada, tells REP that it was those high commodity prices and low interest rates that were previously driving an increase in farmland values – and sales, Alexander adds – over the last four or five years. 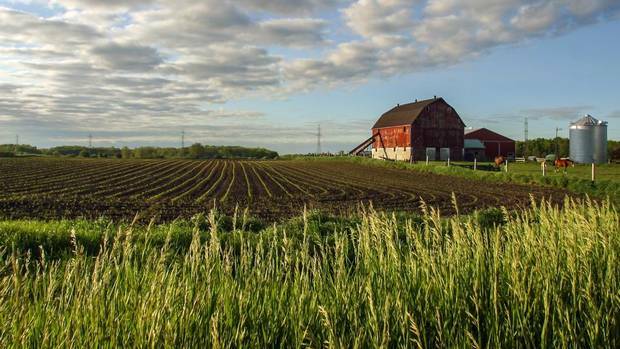 Farmland assets totalled $488.4 million during the 2013 calendar year, a 12.2 per cent rise over the year-ago period. The value of farm real estate, meanwhile, accounted for $352.01 billion of those assets in 2013. “They’re not making any more land,” Alexander says. At the same time last year, farm real estate was valued at $305.74 billion, while total assets were valued at $435.18 billion. Still, Boyd adds that while crop prices have dipped by about 20 per cent in the last year, livestock prices have increased. “It will be interesting to see if livestock will have as much of an impact [on farm real estate values] as crop has on values,” he says.